Which didn't have a detailed mine map before the rework. Quite simply detail mine maps could bring greater detail to travel, where the rocks are placed, and potentially monsters in the area. The issue becomes the time it takes to produce such a map. For example, the above map of the Al Kharid mine took a little over an hour with about 3-4 revisions to legibility. Detailed map mine image for every mine with split mines such as Crandor mine, and Gunnarsgrunn mine on one map image. Keep detailed mine maps on more "complex" mines. Comment - it's worth mentioning that these maps are significant work to make - creating the image is half the job, they then need to be image mapped. If there is a benefit to knowing exactly how rocks are positioned (rockertunities or something?) then we could map them all. I am more than happy to do this (I had been waiting until this rework to finally sort the mine maps out properly). It's worth noting that we already have exact-ish instructions for creating the image maps here and have pre-made dots to use. For mine image maps I think new markers are needed, since there are maps where the existing dots, squares and triangles would be used in addition to having the rocks marked up. I like the rocky shaped ones Tyler has created, but I think that the shape needs to be a block colour (has gradiant atm) with a shadow border; as this is what the other markers are like. Ideally we could use the same marker for each type of rock consistently, across different maps. Alrighty friends, in working with Isobel we have come to this being the style sheet for the rocks to better reflect the current map standards. 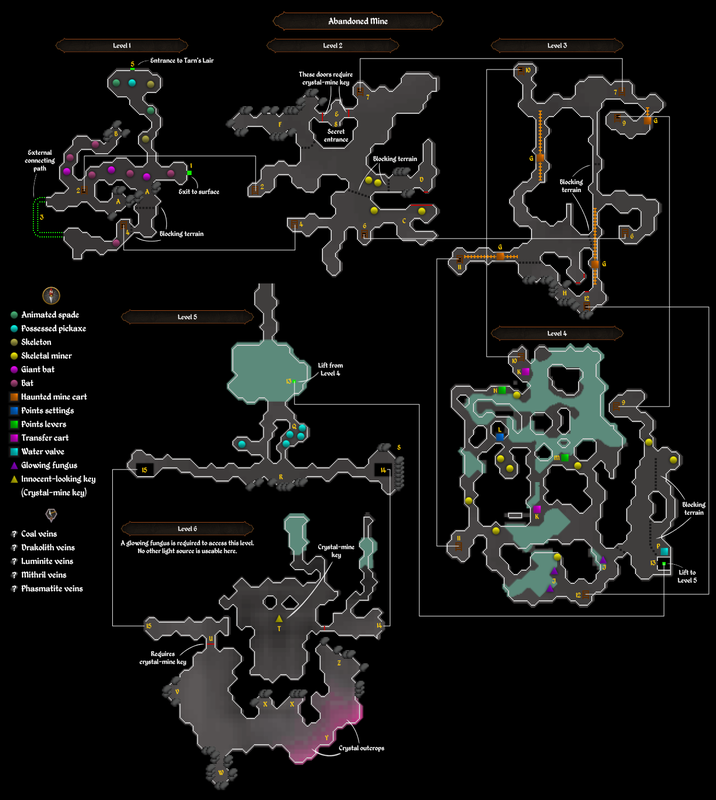 With these changes and general consensus at the moment, here is how the Al Kharid mine map looks. This page was last modified on 18 February 2019, at 07:29.